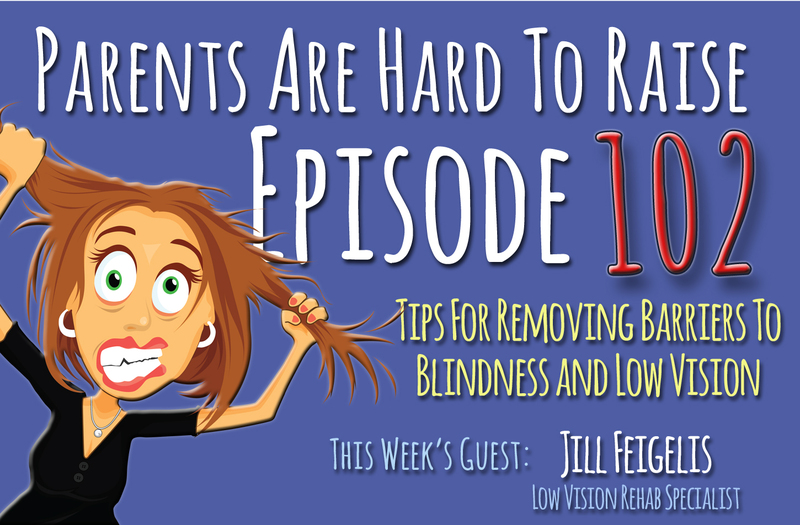 This week on Parents Are Hard To Raise, Diane’s special guest expert, Rehabilitation Specialist for the Blind, Jill Feigelis, is here to share some great tips and resources for helping the visually impaired live their best lives ever. [00:00:00] The world is becoming a dangerous place for us women. Lipstick bodyguard looks just like an innocent little lipstick but it will instantly drop any attacker to his knees so you can get away unharmed. Lipstick bodyguard fear no evil. Get yours today. Only at lipstickbodyguard.com. Announcer: [00:00:24] This week on Parents Are Hard To Raise®... Diane's special guest expert, rehabilitation specialist for the blind, Jill Feigelis is here to share some great tips and resources for helping the visually impaired live their best lives ever. [00:00:53] Join 180 million monthly subscribers who can now listen to Parents Are Hard To Raise® on Spotify. [00:01:10] Welcome to Parents Are Hard To Raise®, helping families grow older together without losing their minds. I'm elder care expert. Diane Berardi. [00:01:20] Growing old has its challenges. Growing old blind. Well, that's a total game changer. Weather loss of sight is caused by genetics infection disease or injury it can significantly, perhaps more than any other physical challenge, limit a person's ability to live an independent life. Normal daily activities like shopping, climbing stairs, poring a cup of coffee, making a phone call, reading and even dressing become much more challenging, if not all but impossible, as sight diminishes. Blindness and low vision can affect more than just our independence and daily routine. Loss of sight can dramatically reduce a person's ability or desire to socialize and meet new people, which impacts negatively on their emotional health as well. 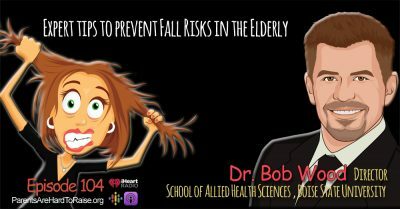 And because the eye is responsible for providing information to the brain, loss of vision can alter balance and contribute to falls. 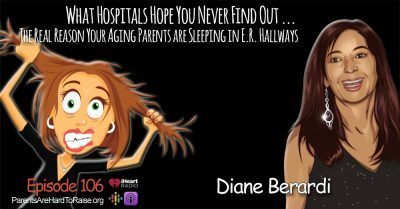 Diane Berardi: [00:02:23] My guest expert this week has spent her entire professional career helping the blind and visually impaired overcome their challenges and live their lives to the fullest. She has a list of credentials so long it would take the rest of the show to read them, so I'll give you the Cliff Notes version. Jill Feigelis is an expert in blind and low vision rehabilitation. She holds academic degrees in blind rehabilitation, orientation and mobility and sociology, and advanced degrees in developmental disabilities and gerontology. Throughout her 37 year career she has worked with everyone from infants to seniors. Jill is one of those rare dedicated and passionate health care professionals who at the end of the day still loves what they do and can't wait to wake up and do it all over again. And fortunately for us, she's taking time out of her busy schedule to share some of her hard-earned knowledge with our Parents Are Hard To Raise® family. 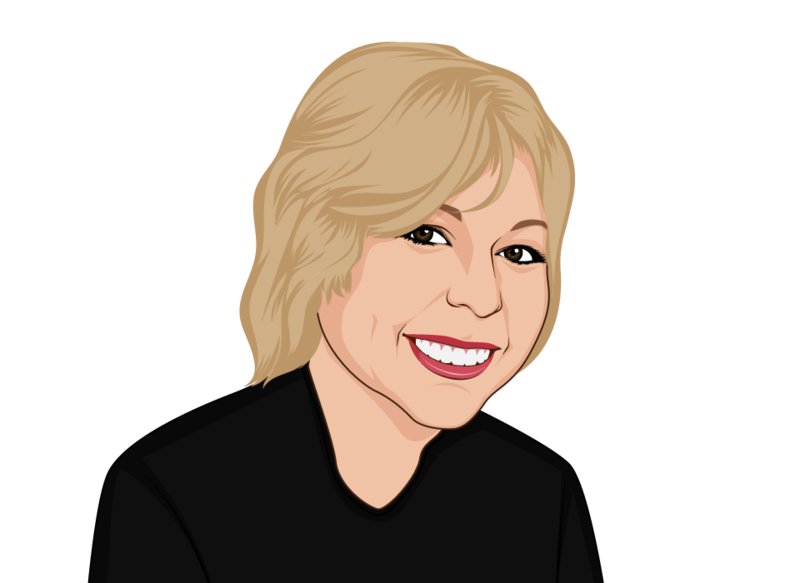 Jill Feigelis, welcome to Parents Are Hard To Raise®. Jill Feigelis: [00:03:29] Thank you very much. I'm glad to be here. Diane Berardi: [00:03:31] We're so glad to have you. So, can you tell us about yourself and what you do. Jill Feigelis: [00:03:37] Sure. What I do is called blind rehabilitation. And what I do is I meet with the person my career is zero to seniors, however I'll speak of seniors during this show. And what I do is I drive up, and from the minute I drive up to that person's home, I start looking around to evaluate for safety, for when I walk in the house, anything I can do to evaluate their life skills, life responsibilities, life their tasks, their daily living tasks. And I go through the... In my head of all I've done to see what I can possibly do to enhance their safety, their confidence and their independence with their daily living skills. [00:04:30] So if I walk up there and there's no rails on the porch and they're walking up, if the steps are broken, that already is a red flag. If I see flower pots all over the stairs or anything that sparks that there might be a problem. You know that's written down to me. Then I'll walk in and I'll look at the clutter in the house. I'll see if there's wires on the floor, clutter, garbage, overpacked with furniture, you know that's another marker. Then I'll get into you know I'll go in to the kitchen situation. I'll look at how they're managing with they're cooking, if they're burning themselves. If they're like you said if they over pour a drink, we've got adaptive devices for all these things. For organizational techniques. [00:06:07] You know, it's a devastating loss, your vision. And what happens is people will, very factually go into depression. So I'll do psychosocial type of work, to counsel them, to avoid that if I can. And as you say, stories... I can go on and on with stories of you know what I can do and adaptive devices that I can do it add to this person's life to try to again get them back on track. The only thing I can't do for them is get them the driver's license back. That's what we want. That's what most of which they can. I think that's the hardest thing that they have to give up. [00:06:56] But besides that we can do most anything else, now. Diane Berardi: [00:06:59] Do you find, I guess with the seniors.... Do you find that they truthful or they kind of feel it's hard to admit that maybe they can't see or do what they could do before? Jill Feigelis: [00:07:16] Well you know, I've learned to be a chameleon. When I, I really have. I don't know the face. When I do my work, I get an address or phone number. I read their medical record. But when I walk in I don't know who I'm going to meet. [00:08:07] What I need to do as a blind rehab therapist is I have to earn their trust. And so I work whatever I can inside of me to make them feel comfortable with me. And we'll sit, we'll talk. We'll get to know each other a little bit. [00:08:25] And then again you know this doesn't come out of a book. I've been doing this a long time. I have to say I have a pretty high success rate that I do get people to talk and really open up about what's going on. And then I try to give them the tools on how to adjust to what's going on and you know it is it's a lot of counseling. Jill Feigelis: [00:08:51] And besides all the physical work that we do you know with the work that I do with the adaptive devices... And I mean the country unfortunately is like a virus of this macular degeneration. [00:09:54] That's that little bit of tunnel vision that you have over the side your eyes, you can't take in all those pixels. You know. They need to get a smaller TV. Actually the old 19 inch black and white would have been the best. Jill Feigelis: [00:10:08] Yeah. I can sit in front of them and they can take in, with their tunnel vision, better than these huge TVs. So a lot of families do things thinking they're doing better for their parents, but they're not. It's actually worse. [00:10:28] And then I walk in and the TV's right in front of the window. And I'm like. No! The glare, the glare. The biggest enemy of macular degeneration is glare. So you want to put them in almost darkness so that the light of the TV stands out to them. [00:10:48] So the mantra that I say, for macular degeneration, living with it is, reduce your glare as much as possible. And enhance contrast. So we want black on white. White on black. [00:11:03] So I'll tell them... We'll go into the kitchen. And I'll say, all right I want you to try to pick up my white piece of people off the white counter. But can't do it. But I put down my black phone on the white counter, they pick it right up. So I can tell them... Please, go over to the dollar store, get a white plate and a dark place. Get a white mug. Get a white bowl. Get a dark bowl. Put your meat on the white plate. Put your coffee in a white mug. Put your pills on a dark towel so they roll on the floor over a dark bowl when you're pouring the pills out into the... You know, to take them. Jill Feigelis: [00:11:43] Yeah. We need high contrast, low glare. Diane Berardi: [00:11:47] Low glare and high contrast. 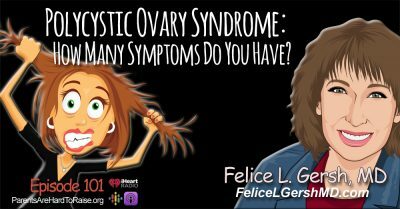 We're gonna continue talking with Jill Feigelis... But if you're a woman or there's a woman in your life, there's something you absolutely need to know. [00:11:58] I want to tell you about my friend Katie. Katie is a nurse and she was attacked on her way home from work. She was totally taken by surprise. And although Katie is only 5 feet tall and 106 pounds she was easily able to drop her 6 foot 4, 250-pound attacker to his knees and get away unharmed. [00:13:41] My friend Katie's close call needs to be a wake up call for all of us myself included. Pick up a lipstick bodyguard and keep it with you always. Announcer: [00:13:57] You're listening to Parents Are Hard To Raise®. Now.... Thanks to you, the Number one eldercare talk show on planet Earth. 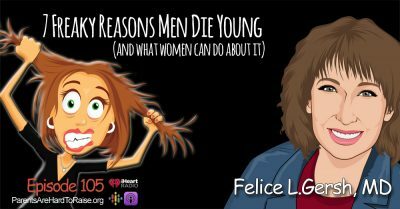 Listen to this and other episodes, on demand, using the iHeart Radio app. iPhone users can listen on Apple podcasts and Android users on Google podcasts. [00:14:16] Want a great new way to listen to the show? Have an Amazon Echo or Dot? Just say, Alexa play Parents Are Hard To Raise® podcast. Alexa: [00:14:26] Getting the latest episode of Parents Are Hard To Raise®. Here it is from iHeart Radio. Announcer: [00:14:32] It's as simple as that. Diane Berardi: [00:14:33] You're right Dolly. There are so many really cool new ways to listen to our show. It's hard to keep track. You can join the one hundred and eighty million listener is on Spotify. 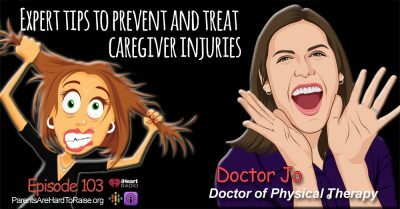 You can listen in your car, at the gym, or pretty much anywhere on your smartphone with Apple podcasts and Google podcasts. [00:14:52] You can get us an Apple TV, Direct TV, Roku. And like Dolly said, you can even ask Alexa to play the show for you. It's great, because you don't have to be tied to a radio anymore. You can listen when you want, where you want, for as long as you want. And if you're listening to the show one of these new ways, please do me a big favor... Share this new technology. Help someone else learn about the show and show them a new way to listen. [00:15:19] So Jill... We were talking about when you walk into a home and there are certain things you may notice that you know families think, like the huge TV... You think someone with a vision impairment that would be wonderful. But it isn't. [00:15:33] So what other common problems might you see? Jill Feigelis: [00:15:38] When I go into the bathroom. People think it's nice to put a pretty rug down and you know aesthetically yes the beige floor with the beige rug look very pretty with the beige towels, and you know, everything matchy matchy. That's the worst thing you can do for people that are visually impaired. You need to do, again, contrast. [00:16:00] So I tell people, get rid of these rugs. If you have a light colored floor go get a rubber backed, dark bath mat. Put it right to the edge of the tub or the shower walk in, that the person coming out with low vision, and they might a little blurry and steamy from the shower, see that dark mat on the light floor. So you know hopefully to prevent a fall. Jill Feigelis: [00:16:27] If they need to grab a towel off the basin, get a dark towel. If you have a white, beige... You know an opposite, light-dark, dark-light. Opposite of what is already there. Again, contrast, contrast in all areas of their life... is like the best tip I could possibly give for macular degeneration. [00:16:50] When they walk outside... Glare. Again very, very sensitive eyes with macular degeneration, actually with or with all the eye diseases. Wear a hat with a visor. [00:17:02] You know how at the beach you put your hand up over your eyes to reduce the glare? Jill Feigelis: [00:17:07] You've got to remember, the sun is coming from above. So the sunglasses are great, but it's really the sun is coming from above. So what you want to do is reduce the glare by a hat with the visor, that stands out, reducing the glare. Put on the sunglasses as well. Again, the glasses you see out with the shields in the front and the shields in the side are very helpful because that not only takes the glare and reduces that but it will reduce the wind if you are dealing with dry eye, as well. So you definitely should do that. [00:17:44] Of course, I can get into, you know I'm an orientation ability instructor, so that's dealing with the white cane. [00:17:52] In the country and out of the country, people carrying the white cane have the right of way. It is a law. And when you're walking, a cane standing out in front, clearing your path, is the best thing you can do. When with macular degeneration as I told you you have no central vision which means you have no depth perception. So, what you want to do to an O and M instructor, is you know not go by your cane yourself. Every state has a commission for the blind. It's free of charge, as you pay I believe, I shouldn't say this, but I believe as you pay in your taxes, that it's all a benefit to you. [00:18:39] You can call your commission for the Blind in the state and orientation and mobility instructor will come out. They'll measure you for the right size cane. They'll show you how to use the cane. They'll put the right tip on it. And now as you use your cane if you've got a good balance you will clear your path in front of you as you're walking down a step to know the height and the depth of the step the rise of the step. If there's a pothole, if there's cracks in your sidewalk... It's always going to tell you what's coming. So it's a very vital tool that people with very low vision should use. [00:19:17] If you don't have a good balance, even if you do have the Rollator. You know what the Rollator is? You know it's like the souped-up Walker. It's got the seat and the basket. You know we can even tape them with the White and the red as a mobility instructor, so that you identify to the public as visually impaired to blind, so that you get respect and the law covers you. You know it's again very important. And again, safety. It will prevent falls, because the cane is always going to give you reaction time to the problem. So you want that cane in front of you. [00:19:56] Again, the mobility instructor knows the right size and your gait and has to measure everything and teach you correctly how to use it. But again, it's such a wonderful tool simple and wonderful tool to prevent falls and give you independence again. [00:20:11] I've heard people that have sat in their home for two years after their vision has failed and they're just afraid to get out of that chair. But then a mobility instructor or someone you know like myself with the other skills comes in, gives them the right tools, gives them the right instruction, hopefully dealing with counseling, builds up the confidence... They're out there within an hour. They're getting their mail again. They're taking out the garbage. They might be walking to the corner store. And people need a purpose in their day. If you don't have a purpose in your day, you get depressed. Diane Berardi: [00:20:46] Yes. Right. [00:20:57] But, there is so much help by people that have been trained as myself to offer people that are going through this and we can totally change somebodies quality of life in an hour. So I really want people to know that. [00:21:17] And again just call your local commission for the blind or if you're a veteran through the V.A. They should definitely get involved with that, for sure. [00:21:26] I have been doing this long enough that I remember the days of... We call it the Braille writer and the slate and stylus, which are still used today. But unfortunately using that communication, people couldn't get work because what could you do as a blind visually impaired person? Nobody could read your Braille really at work. Even if you took a phone call... Who can read your braille? Or how are you going to even know how to stack a shelf, where? Like it was very limited work for them were blind visually impaired. Nobody appreciates technology more than me. I'm old. I'm not that good at it. But I appreciate it like crazy, because it has opened the world for the visually impaired and blind. [00:22:14] There's apps on the phone now ... "Seeing AI" app. Free. You download it, you put your phone over the material you want to read, it takes a picture and reads it to you. [00:22:28] Yes. You can put it over something, it'll tell you color. It'll tell you... It can take a picture of me. The person that's blind can hold it up take a picture of me it'll tell you how to frame it in, it takes a picture of me, and then the next time it finds me, it'll tell the person, Jill... You know to recognize. It's a wonderful app. Diane Berardi: [00:22:55] What was it called? Jill Feigelis: [00:22:55] There's a million apps. There's other.... "Seeing AI". It's a wonderful app that will open up a blind person's world. Yeah. [00:23:17] Google. Alexa. All that kind of stuff, now. Amazing. That helps people you know ask it the time, the day, the weather, you know where they can't see that thermometer they can't see their watches anymore. [00:23:32] But we have talking clocks talking, talking watches, color identifiers, money identifiers. Templates... If people, they don't want to really sign your name anymore cause they think it's so sloppy. Jill Feigelis: [00:23:48] It's a little bit of a little credit card down with the window cut out. It's called the signature guide. And they can keep it in the wallet and they just ask the person to put the guide down where they want the signature signed. You put it down and they have like a little lip on it so that people can nicely sign their name, again. Diane Berardi: [00:24:05] Oh, that's nice. Jill Feigelis: [00:24:05] Yeah. Yeah. There's so much out there that we want people to feel we don't want them to give up. You know we want them to be right back into the world. And it might take a little training a few little adaptive devices, but a blind person at this point could be president of the United States. You know I tell people there they're the same intelligent person. They just they just don't see as well. And with technology and some training we can get around that now. Diane Berardi: [00:24:40] It's wonderful. I mean it's... You know they can live their lives. [00:24:47] My people... I say, don't say the word no to me. Don't say the word, no. I don't know that word. I don't know that word, no. We're going to do it. We're going to do it. I always ask people when you are talking about although that maybe was sadness and depression. Tell me what you used to do, that made you happy. What was your hobbies? What did you enjoy doing? And over the years... Oh I've had, "I would have loved to continue to plant my vegetable garden." Oh my God. That's an easy one. Let's go out there. We'll get some big flower pots. We'll put the tomato plants in one. I'm like, "You tell me now." Plant it in the dirt. It's contained in the pot. As it grows, you feel the leaf. You feel the vegetable. You know we went through the whole thing. [00:25:37] I've done it in a patio, like a square. I'll put a steak at one end. A steak at the other end. I'll tie knots where we drop the seed so they can feel it down, you know. Jill Feigelis: [00:25:49] And then feel it as it grows. And I'll never forget, at the end of the summer the man gave me a big basket of vegetables. Diane Berardi: [00:25:57] Oh, that is do sweet. Oh my Gosh. Jill Feigelis: [00:25:59] Yeah yeah. Diane Berardi: [00:26:04] People are reborn. [00:26:06] You know, literally. There's so much you can go on about. We are definitely going to have you on another show. [00:26:13] And if our listeners have questions for Jill just e-mail me at Diane at Parents Are Hard To Raise®, and I will get them to Jill. [00:26:24] This was a wonderful episode, Jill. Thank you so much. Jill Feigelis: [00:26:27] My pleasure. Diane Berardi: [00:26:28] And Parents Are Hard To Raise® family... I love getting your e-mails and questions, so please keep sending them. You can reach me at Diane at Parents Are Hard To Raise® dot org or just click the green button on our home page. [00:26:38] Parents Are Hard To Raise® is a CounterThink Media production. The music used in this broadcast was managed by Cosmo Music, New York New York. [00:26:47] Our New York producer is Joshua Green. Our broadcast engineer is Well Gambino. And from our London studios, the melodic voice of our announcer, Miss Dolly D.
[00:26:57] Thank you so much for listening. [00:26:57] Till next time... May you forget everything you don't want to remember, and remember everything you don't want to forget.